Think consciously about food and activity choices, rather than go with the flow. Because being mindful of these choices impacts our waistline and general health. The “mindfulness” approach will arm you with a shield of self-awareness; you can use it to defend against temptation and marketing. The science behind this self-management was explored at a recent session of the Euroscience Open Forum (ESOF) in Manchester, UK. Scientists from the I.Family study spoke about the new discoveries they have made. Some in the audience were surprised to hear that one-third of children in the UK are obese. Obesity in kids is on the up across Europe. Speakers offered tips to help us raise our well-being through mindfulness. Those entering the session (Think Health: a mindful approach to well-being) were offered a choice of one sweet now or two sweets later. Experiments have tested people’s willingness to delay rewards. “How well 4 year old children are able to inhibit their response to an immediate award has even been able to predict body mass index 40 years later,” said Floor van Meer, I.Family scientist from University Medical Center Utrecht in the Netherlands. She has carried out MRI scans of the brain while offering people food choices. Those who are better at resisting temptations, show more activity in a certain part of the brain (dorsolateral prefrontal cortex). “In the I.Family study, we ask children and their parents to make food choices while we scan their brain,” says van Meer. “The fascinating thing is that we can change people’s brain activation and behavior by asking them to consider the healthiness of the food when making choices.” When people are mindful of health, this boosts healthier choices. This happens because part of the brain is activated that helps defer immediate gains in favour of long-term rewards. In children, this still holds true. But it is more of a challenge for kids to resist. Here’s why: “Unfortunately these prefrontal areas are the last areas to mature in children,” says van Meer. The intake of healthy food in children has also been studied by I.Family. Familiality accounts for 70% of healthy food intake in 2 to 10 year olds. Leonie-Helen Bogl of the University of Helsinki defines this concept of familiality as the proportion of variation in a trait explained by genetic and shared environmental influences between individuals. Genes do play a role here, but there is more. Parents and environment have a big influence. As the child ages and gains independence, the familiality influence wanes to 45%, as the parental reins loosen. “This highlights the importance of being mindful within your influences on your children, especially in early life,” said Mikhaela Neequaye, who presented on behalf of Bogl for Minerva Communications. You not only pass down your genes to your child, but also influence how they interact with food for the rest of their lives. Mindful actions can deliver your child a healthier life. 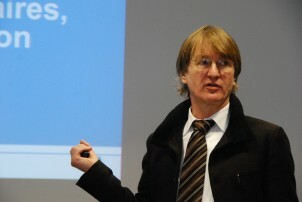 During a breakaway group demonstration, consumer behavior expert Wencke Gwozdz of Copenhagen Business School, Denmark, gave insights into how psychology influences our choices. A variant of the famous gorilla movie – where participants are so distracted watching ball throwing that they fail to see the gorilla walk across the screen – led into a discussion of anchoring. “This is what marketing can do. It focuses our mind on one thing [anchors it], so we miss something else. It’s very human. Happens all the time,’ said Gwozdz. Another marketing approach is to “frame” information in a certain way. The same cut of beef could be labeled 25% fat or 75% fat free, yet fat free sounds healthier. It is exactly the same, but the perception is not. Bear in mind that you are not always rational in your thinking. We should have this in mind when we go to shop in the supermarket: it will help us choose consciously rather than be led away by smart schemes or catchy phrases. Healthy choices are not all about our genes or family, nor all in our head. The built environment also holds some sway over our lifestyle. This is the focus of Byron Tibbitts from the University of Bristol, UK, who spoke during a breakaway group demo. “Our food and physical activity are heavily influenced by factors outside our control,” he explained. Access to and availability of certain foods influences what we eat. “If we’ve access to places that will provide us with healthy food, we are much more likely to consume healthy food. Proximity matters.” On the other hand, it can be a problem in areas of deprivation when people have limited access to healthy foods. This will seriously determine the choices that they make. For physical exercise, walkability around your local area matters. 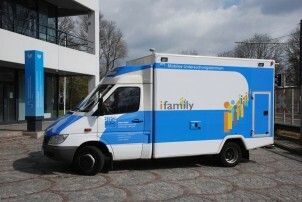 I.Family has built on data obtained from over 16,000 children. Its objectives: to shed light on thebiological, behavioral, social and environmental factors that drive dietary behavior as children edge towards adulthood. A question from the audience later asked about transforming all the I.Family insights into action by influencing policy. This will be a task for Minerva Communications. 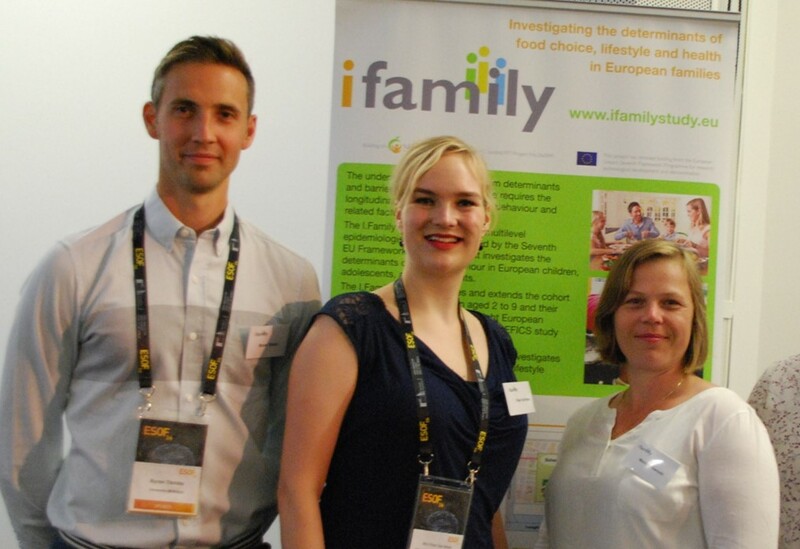 The I.Family Study Final Conference will take place in Brussels on February 9, 2017.